Edited by Vincenzo Borghetti. Complete Edition. From the Rossini Complete Works, Series I, Vol. 15. Two-volume set with critical commentary. Clothbound scores. Edited by Alberto Zedda. Vocal score based on the critical edition. Two-volume vocal score. Edited by Charles S. Brauner. Reduction for voice & piano based on the critical edition of the orchestral score. Two-volume vocal score, 391 p.
Edited by Davide Daolmi. Complete Edition. 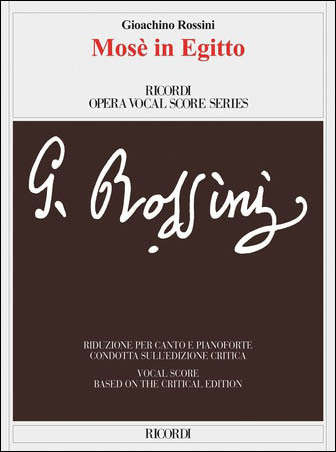 From the series Rossini Edizione Critica delle Opera, Series III, Vol. 4. Includes two volumes. Cloth bound score.